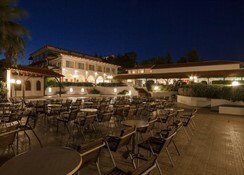 Located in Tripiti, one of the prettiest areas of Halkidiki, the Alexandros Palace Hotel is a luxurious resort which is a great destination for family holidays in Greece. There are some fantastic beaches nearby which are well worth a visit for both sunbathing and water sports. There are also some great sightseeing spots in the local area, including the Byzantine Tower of Krounas, the Xerxis Canal and the Prosforiou Tower. 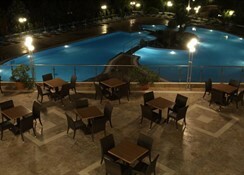 The hotel has picturesque surroundings and is situated just 2km from the traditional village Nea Roda. Ouranoupoli is 5km away.During your stay at the Alexandros Palace Hotel you will benefit from the use of some excellent facilities. There are a host of activities on site including a tennis court, 5 a side football pitch, beach volleyball, table tennis, pool table and well equipped gym, among others. If you are happier to just kick back and relax, the hotel has a private beach. There is also a spa, where you can completely unwind and treat yourself to a range of treatments.The Alexandros Palace Hotel provides an enviable location and superb facilities. 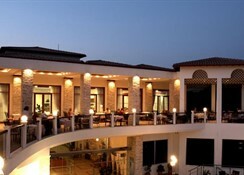 It is ideal for a sunny, beach holiday in Halkidiki. So for an unforgettable break â€“ book today! The Alexandros Palace Hotel is the right choice for anyone looking for excellent weather and first rate accommodation, in Greece. The hotel has an outdoor swimming pool with a separate childrenâ€™s pool. There is also a heated indoor pool in the hotelâ€™s spa. 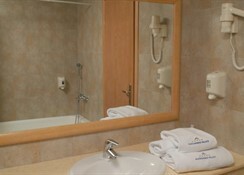 The hotel has a mixture of rooms and suites. Rooms are comfortable and spacious and are equipped with a bathroom, air conditioning, fridge, tea and coffee making facilities, satellite TV, telephone, Wi-Fi internet, safe, hairdryer, toiletries and balcony. There are a range of wining and dining options at the hotel. There is a restaurant serving lunch and dinner which offers spectacular sea views. 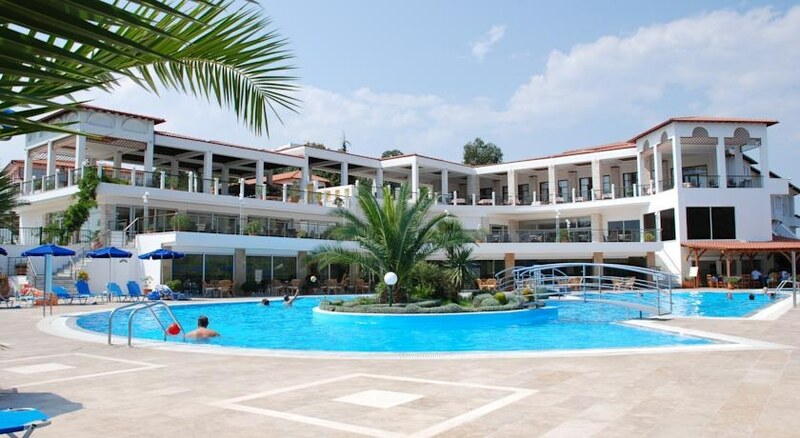 There is also an elegant a la carte restaurant which serves delicious evening meals.The poolside snack bar serves drinks and light bites throughout the day and there is a breakfast hall serving fresh dishes and offering a great start to the day. The hotel complex is built on 60,000m2 of pretty grounds. 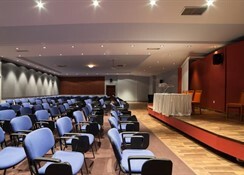 There are several villages nearby, including Nea Roda 2km away and Ouranoupoli 5km away. There are lots of fantastic sceneries and some great beaches surrounding the hotel. 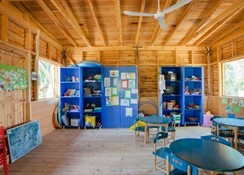 Staff were polite and extremely helpful, rooms were clean, shop was well stocked. Only criticism was the evening buffet was somewhat restricted a bit boring and repetitive.